Michael Newton is a hypnotist, past life regression therapist, and author of three best sellers: "Destiny of Souls," "Journey of Souls," and "Life Between Lives." He specializes in spiritual regression to the time between lives when souls reflect on past lives and prepare for future ones. Michael Newton spent his decades-long career studying soul experiences. He has a doctorate in counseling psychology and is a master hypnotherapist. Before he retired, he had a practice in Los Angles where he helped people recover memories about past lives and the time spent between lives. He used techniques such as age regression and behavior modification to help people connect with their spiritual natures. Michael Newton is considered a pioneer in the field of soul studies and the afterlife. Much of his work is based upon the soul memories uncovered through years of regressing his clients. He is held in esteem because of his scientific approach to examining matters related to the soul and spiritual world. Because of the nature of his amazing work and the popularity of his books, Newton has appeared on numerous talk shows on television and radio. Michael Newton developed his own method of regressing clients to their past lives and taught it to other hypnotherapists. Even though he is retired and no longer seeing private clients or teaching classes on his own, he acts as an advisor to the Newton Institute for Life Between Lives, that continues his work. • "Journey of Souls: Case Studies of Life Between Lives" was published in 1994 and is available as a book, audio book, and ebook. This book tells the stories of 29 people whom Michael Newton regressed to their past lives, and to the times between their physical deaths. It offers readers a glimpse into the afterlife in a way that is inspiring and moving. Some of the topics discussed include what it feels like to die, what happens right after you die, how you choose another body to reincarnate into, the purpose of life, and the truth about spirit guides. 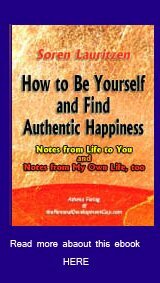 This work is different from most other self improvement books, but it still offers readers a better understanding of themselves and a deeper purpose to life. • "Destiny of Souls: New Case Studies of Life Between Lives" was published in 2000 and is available as an ebook, audio book, and book. This work contains 70 stories of actual clients who underwent hypnotic regression by Michael Newton to the time between their physical incarnations. 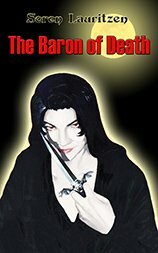 This book provides readers with a deeper look into the afterlife. Some of the topics explained include soul mates, spirit guides, soul travel, purpose on earth, soul-brain connection, and how spirits comfort grieving loved ones. This work contains self help advice for those struggling after a loved one or pet has passed on. Newton reassures readers the deceased one connects and comforts the loved ones left behind and one day they will be reunited. This book tackles other difficult subjects too such as malevolent spirits, ghosts, fairies, and elves. • "Life Between Lives: Hypnotherapy for Spiritual Regression" was published in 2004 and is available as a book and ebook. In this work, Michael Newton outlines his step-by-step method for regressing his clients. It is suitable reading for the general public and for hypnotherapists. It has been called a roadmap to the spirit world and is an informative guide for anyone considering undergoing a regression. It explains what to expect and how to proceed. It may be more useful for therapists experienced in hypnosis, but it is still informative and intriguing for anyone who is interested in the subject of the afterlife. • "Memories of the Afterlife: Life Between Lives Stories of Personal Transformation" was published in 2009 and is available as a book, ebook, and audio book. This is a compilation of stories that were collected by Life Between Lives hypnotherapists at the Newton Institute. This work is filled with case studies about clients who experienced their life between lives and how the experience changed their lives. These people found new meaning to life, gained emotional healings, understood adversity better, and embarked on spiritual journeys that connected them with soul mates, spirit guides, and immortal souls. 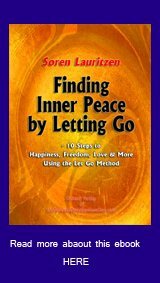 The book offers readers hope and inspiration that it is possible to come to a deeper understanding of spiritual matters, overcome fear of the afterlife, deal with grief over lost loved ones, and find deeper purpose to daily adversity. The Newton Institute for Life Between Lives Hypnotherapy operates under the direction of Michael Newton. They continue to instruct and certify new practitioners of the regression methods developed by Newton. As such, they act as a resource for anyone who wants to undergo such an experience. Certified hypnotherapists are positioned all around the world to work with private clients and to hold workshops for public information and certification of other hypnotists. A session with a Life Between Lives hypnotist usually lasts about four hours and is recommended for those who have already undergone basic past life regression. This allows the client to enter into a deeply hypnotic state more easily. Many clients report the sessions bring them understanding and clarity as to the state of their circumstances and allows them to live with greater purpose, energy, grace, and understanding. Much can be learned about this life after understanding what transpired in the time before it started. Current problems and suffering suddenly make sense. This type of therapy has proven to be of help to many people but a good place to begin a journey into the spirit world is by reading the many case studies presented in the books by Michael Newton. Jump to Self Help Books.